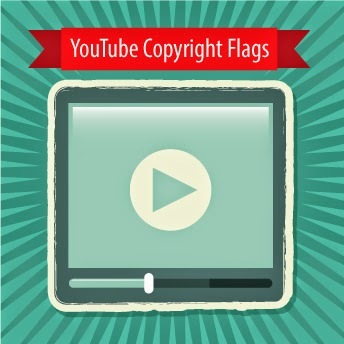 We wanted to take this month’s Social Media Spotlight to address an issue on YouTube that we know stations have encountered for quite some time, but even more so as of late—copyright strikes and flags on uploaded content. After receiving quite a few messages about an increase in these flags, we (i.e. Scott Willey) did some digging and confirmed that YouTube is currently in the process of cracking down even harder on copyright violations. If you have already secured a license to use the content, you can easily dispute the claim and include the license number in the comment of the dispute. A more proactive solution would be to ensure the channel is whitelisted. If the claim is on the audio and the music isn’t a critical part of their video, YouTube has a tool called “Song Erase” that will let you remove the claimed audio from your video to resolve the claim. Since this tool is currently in beta, they are doing a lot of work to make it more robust, and a recent addition is that you can now access it and use it directly in your CMS. Please note: if the claim does not say "blocked," you can choose to keep the music; however, the video will no longer be able to be monetized. You can swap the audio track in your video to one of the music tracks YouTube provides in their free Audio Library. In other words, being ASCAP and BMI compliant with a broadcast music license doesn’t carry over to distribution online. So if you can’t get a license that allows for this, you should rethink uploading the content. If you do have a license for the web, it would help to be proactive to avoid flags by getting your account whitelisted by the content owner, as mentioned above. If none of the three options listed here help to remove your copyright claims, you can delete the content altogether from your YouTube channel and the strike will automatically be lifted. We understand the frustration around this and, unfortunately, don’t have an easy overall solution at the moment, but if you have any questions, please contact Scott Willey at swilley@pbs.org and he is happy to help.